In planning a festival program, Wesley Enoch says that he doesn’t set out with a theme in mind. “Themes come from the artists who bring the work in,” says Enoch, Artistic Director of the Sydney Festival. Looking at his line-up for the Sydney Festival in 2019, and the over-arching ideas that have emerged, he says that “the indigenous program is a central point [taking in the idea of] the conversation around January 26, what it means and whether to change the date, and coupling that with what is coming our way in 2020 with the James Cook 250th anniversary. There is a whole conversation about our connection to places and our indigenous heritage here. There’s the notion too of what I call seeking safety, be it refugees or migrants or asylum seekers, and the story of finding safe spaces in relationships, the whole #MeToo and #TimesUp movement – where is the safety in public spaces? – so there are a few projects that respond to that,” says Enoch. Sydney Chamber Opera will perform Kaija Saariaho’s oratorio, with a libretto by Amin Maalouf. Subtitled “a musical journey in 15 stations”, it centres on the life and writing of French philosopher, mystic and political activist Simone Weil and is conceived using the Passion Play tradition with episodes of her life linked to the Stations of the Cross. The piece had its world premiere in 2006 directed by Peter Sellars. Finnish-born Saariaho created a chamber version in 2013. Imara Savage directs a new production here. Schaubühne Berlin presents its first play directed by Simon McBurney of renowned UK company Complicité. The production is a bold, adventurous, sexually charged staging of Stefan Zweig’s 1939 novel, which was written when the Jewish writer was exiled in England from Austria. 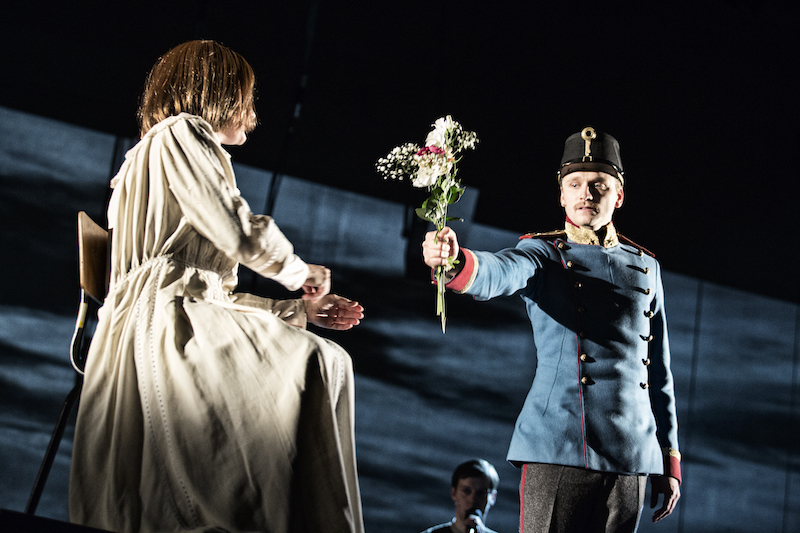 A portrait of Europe stumbling towards disintegration, it tells the story of young lieutenant Anton Hofmiller, stationed on the Hungarian border in 1914, who is invited to the castle of the wealthy Lajos Kekesfalva. At a party he asks Kekesfalva’s daughter Edith to dance, not realising she is paralysed. Feeling terrible about it, Hofmiller spends time with Edith and she falls obsessively in love with him. He promises to marry her when she is recovered, hoping to convince her to try a special cure. However, when she discovers that his love is based on pity, her delight turns to despairing rage and she takes her own life. Overwhelmed by guilt, Hoffmiller is deployed to the First World War. Presented in German, with surtitles, Beware of Pity was described by The Guardian as “an astonishing ensemble production” in which a “story of great psychological perception becomes a prophetic vision of a civilisation on the verge of collapse… With dazzling virtuosity, McBurney and his team evoke a vanished world.” “The Schaübuhne are really up there at the moment and it’s interesting to see Simon in that environment,” says Enoch. Co-commissioned with CAIAF and Adelaide Festival, and co-produced by Belvoir and Co-Curious, Counting and Cracking is an epic play about Australian-Sri Lankans. Written by S. Shakthidharan and directed by Eamon Flack, it features 16 actors playing four generations of a family, and moves between Colombo and Pendle Hill. It begins on the banks of the Georges River where Radha and her son Siddhartha release the ashes of Radha’s mother – their final connection to the past and their struggles in Sri Lanka. And then a call from Colombo brings the past spinning back to life. A new commission for Sydney Festival, Shànghai MiMi will have its world premiere at the Riverside Theatre, Parramatta. Moira Finucane will direct a cast of Chinese acrobats and musicians, most of them from China but some living in Australia. 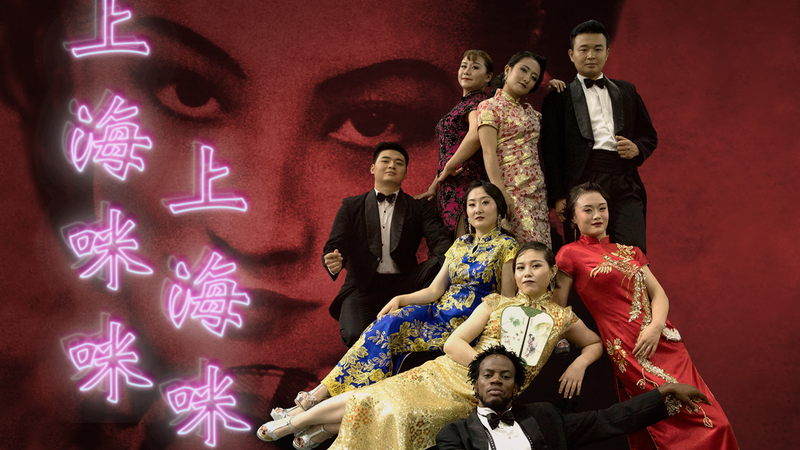 Set in 1930s Shanghai, the cabaret-type show captures the heady melting pot of jazz, acrobats and burlesque at the time which earned the city the moniker of the ‘Paris of the East’. Described by Sydney Festival as “a magical meditation on safety and shelter by award-winning theatre performer, director and absurdist Geoff Sobelle”, HOME was recently staged at the Brisbane Festival. Sobelle performed the hugely popular The Object Lesson at Sydney Festival in 2016. In HOME an empty stage is gradually turned into a two-storey house. This year’s indigenous program includes, among other pieces, Man With The Iron Neck, a powerful new work from Ursula Yovich and Legs on the Wall about a family grappling with life after suicide, Biladurang, an intimate solo work by Joel Bray, performed to an audience in a hotel room, the biennial Yellamundie National First Peoples Playwriting Festival, and a co-commission called Spinifex Gum in which Marliya, a choir of indigenous women from Cairns perform songs by Felix Riebl and Ollie McGill of The Cat Empire at the Sydney Opera House alongside Briggs and Peter Garrett. 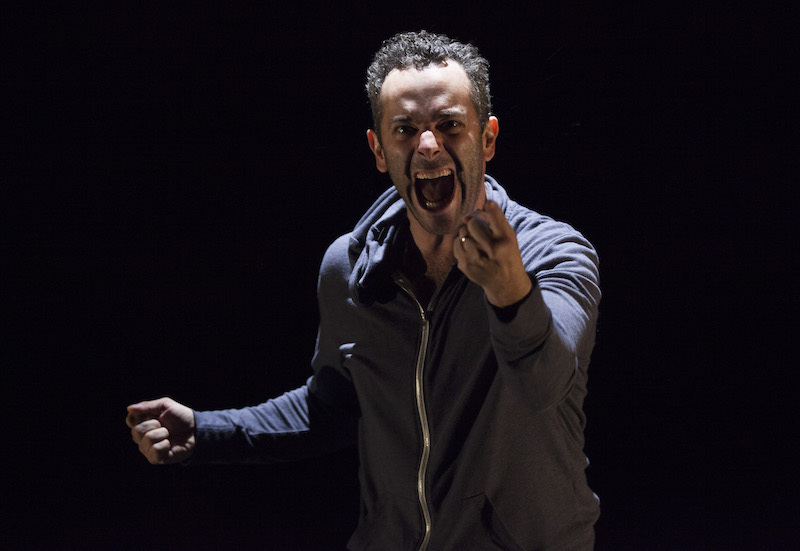 The theatre program also includes The Iliad, William Zappa’s sweeping nine-hour rendition of Homer’s Iliad. 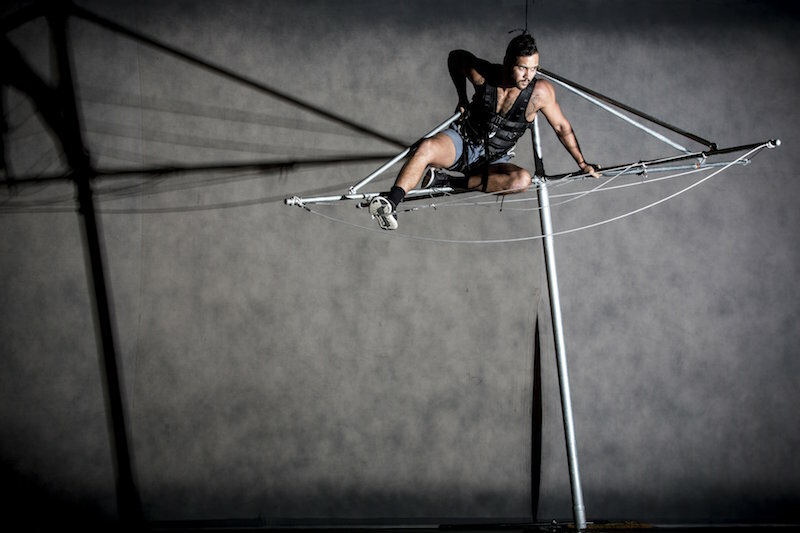 Dance pieces include Dust from Dancenorth, first seen at the Brisbane Festival, and One Infinity, which premiered at the Melbourne International Dance Festival. Directed by Gideon Obarzanek, One Infinity uses dancers from Dancenorth and Beijing Dance Theatre and invites audiences members to be part of the show. Masters of Modern SOUND offers an after-dark journey through the Art Gallery of New South Wales’s Masters of modern art from the Hermitage exhibition with a live soundtrack provided by sonic artists. Apollo 11 investigates 11 heroes of space travel through three-metre-high astronaut models at Barangaroo South, and Moon Drops offers festival-goers the chance to stop, roll and jump on super-sized water-filled droplets.